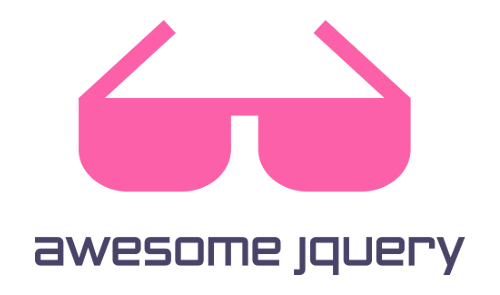 A curated list of awesome jQuery plugins, resources and other shiny things. Inspired by the awesome-* trend on GitHub. Awesome free tutorials and courses to learn jQuery. Extending jQuery - Extending jQuery’s selector capabilities. Recommended and not too much outdated jQuery books. Interesting jQuery related blogs and websites. Awesome plugins from all across the jQuery universe. Fullpage.js - Create full screen pages fast and simple. Plugins for Forms, AJAX, validation. selectize.js - jQuery based hybrid of a textbox and \ box. Plugins related to images, image manipulation, galleries, maps and charts. BackStretch - jQuery plugin that allows you to add a dynamically-resized, slideshow-capable background image to any page or element. Chart.js - Simple HTML5 Charts using the \ tag. jQuery Images Compare - Plugin for comparing two images. Peity - Progressive \ pie, donut, bar and line charts. Menus animation, usability enhancements and beautification. Plugins for modals (dialog box/popups), tooltips, and similar popup windows. Grid plugins and plugins for creating and showcasing data in form of tables. Plugins for handling, manipulating or formating time and date. Plugins that couldn't be sorted in above categories yet. Best practices of integrating client-side jQuery with server-side technologies. Bower - Useful package manager optimized for the front-end. PHP front end setup without Node - Tutorial how to combine BowerPHP, Mini-Asset and Robo.li into a PHP front end asset building pipeline. symfony-collection - jQuery Plugin that manages adding, deleting and moving elements from a Symfony2 collection. django-static-jquery - jQuery packaged in an handy Django app to speed up new applications and deployment. jquery-rails - A gem to automate using jQuery with Rails. jquery-ui-rails - jQuery UI for the Rails asset pipeline. Ask and answer questions, share and get jQuery related stuff and get in touch with the community. Chinese - Chinese translation of Awesome jQuery. You are most welcome to contribute to this awesome jQuery list as well. Big thanks to all contributors who have helped to build this list.